Tuscarora is an unincorporated community in Elko County, Nevada. It is home to two small schools provided by the Elko County School District. Tuscarora is part of the Elko Micropolitan Statistical Area. 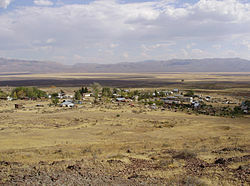 Tuscarora was founded in Elko County after an expedition by trader William Heath to find gold. The community derives its name from the Tuscarora people. As miners flocked to the town, a fort was built to offer protection from Indian raids and a water ditch was created to supply the town with water. Many Chinese men who had been employed by the Central Pacific Railroad (CPR) relocated to the town and began placer mining. A boom began following the discovery of silver ore. A post office was established at Tuscarora in 1871. ^ Federal Writers' Project (1941). Origin of Place Names: Nevada (PDF). W.P.A. p. 30. 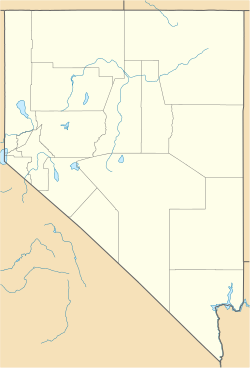 Wikimedia Commons has media related to Tuscarora, Nevada. This page was last edited on 13 April 2018, at 09:10 (UTC).